The French writer, Guy de Maupassant was the first of the literati to fall in love with the Cote d'Azur, writing so glowingly of his sojourns in Saint-Tropez that Claude Monet decided to visit. In 1888 he headed to Antibes where he stayed for five months, producing over 30 paintings of the town and its surroundings. 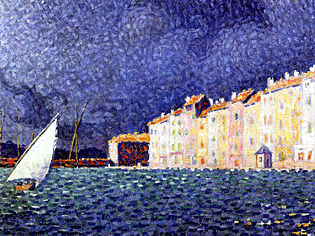 Then it was Paul Signac's turn to fall under the region's spell when he arrived in 1892. He soon moved to Saint-Tropez where he worked on his influential theory of pure color. His cottage became a center for neo-impressionists, fauvists and artists such as Pierre Bonnard and Henri-Edmond Cross. In 1904, Signac invited his friend Henri Matisse for a visit. Although he complained about the heat, it was in Saint-Tropez that Matisse painted his masterpiece Luxe, Calme et Volupté. 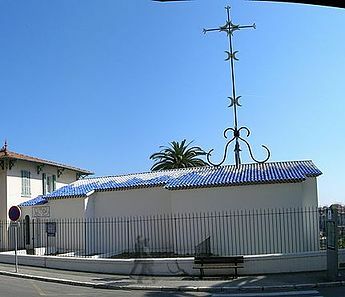 Matisse moved to Nice in 1917 on the advice of his doctor and spent the next 40 years in Nice, interrupted only by a stay in Vence from 1943 to 1949 where he decorated the Chapelle du Rosaire. 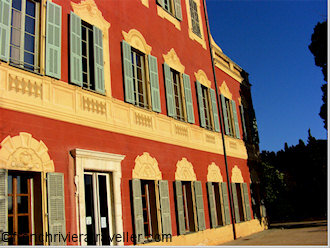 Meanwhile, in 1907 Renoir bought the estate of Les Collettes in upper Cagnes-sur-Mer, moving there a year later. He spent the last 12 years of his life there, applying himself to sculpture despite his deteriorating health. Chaim Soutine stayed in Vence from 1919 to 1929 and painted views of Cagnes-sur-Mer. At the same time, Raoul Dufy was shuttling from Vence to Grasse to Hyères and Menton while working on a series of canvases exhibited at the Fine Arts Museum in Nice. In 1927, Pierre Bonnard planted himself in a house in Le Cannet, outside Cannes where he turned out some 300 works. 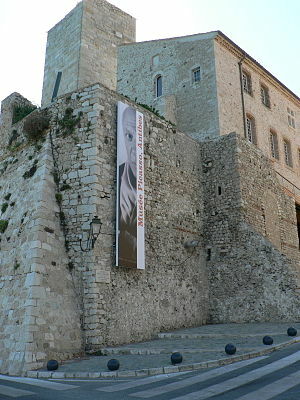 Pablo Picasso was already famous when, in 1946, he was invited to the Chateau Grimaldi in Antibes where he produced 23 paintings and 44 drawings, many centered on classical mythology. In 1948 he moved to Vallauris where he stayed until 1955. In addition to working on linotype and ceramics, Picasso's most notable work from this period is the monumental War and Peace painted in 1952 to adorn the entrance of the 12th-century chapel of the Vallauris Chateau. 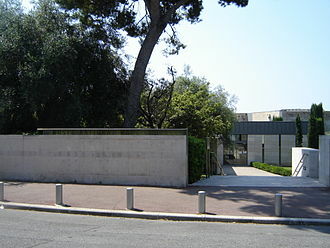 In 1961 he moved to Mougins where he remained until his death in 1973. In the same postwar period, Marc Chagall came to Vence where he worked with ceramics, sculpture and stained glass windows. For the Cathedral he donated a mosaic before leaving for Saint-Paul de Vence. Perhaps his greatest gift to the region was the Chagall Biblical Message Museum in Nice for which he composed 17 paintings on biblical themes. In 1949, Fernand Leger was seduced by Biot where he lived and painted until his death. Arriving in Antibes in 1954, Nicolas de Staël installed his studio in a house on the town walls. For the five months that preceded his suicide he turned out nearly 150 canvases. A group of neo-realists emerged in the 1960s centered around the Niçois artist, Yves Klein. The group included Martial Rayssé, born in Golfe-Juan, Arman, born in Nice and various artists who became attached to the Riviera at one point or another: Raymond Hains, Jean Tinguely, César and Niki de Saint-Phalle. The art scene on the French Riviera is not quite as glorious as in the past but there are still notable artists working here. Benjamin Vautier (known as Ben) was originally influenced by Yves Klein before becoming involved in the Fluxus movement and continues to work in Nice. Sacha Sosno is a sculptor who has given much of Nice its contemporary "look", creating the monumental Tete Carré for the Nice library. 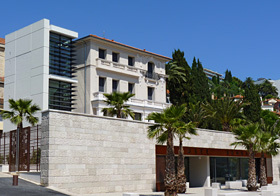 To truly appreciate the "Nice School", a visit to the Museum of Modern and Contemporary Art (MAMAC) in Nice is obligatory.